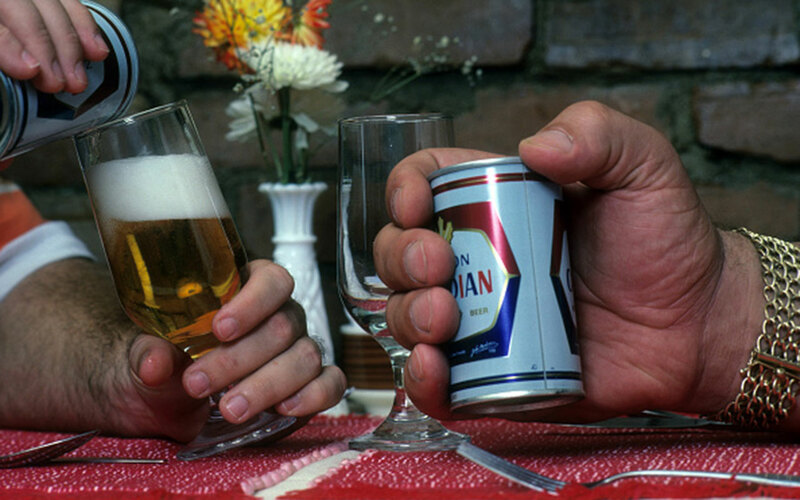 Is this André the Giant's hand holding a can of beer? 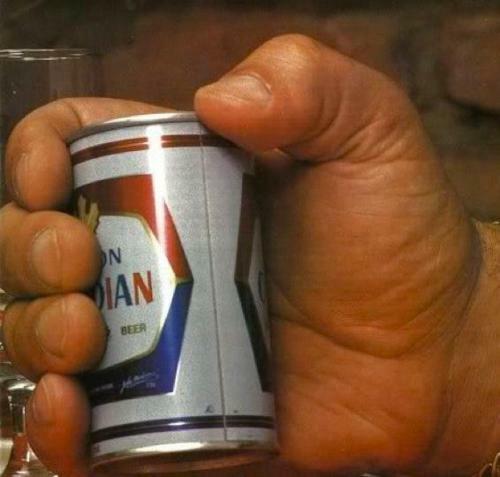 Is this a genuine image of the hand of André René Roussimoff (André the Giant) holding an everyday 12-ounce (350 mL) can of beer? Uproxx and reddit suggest it's real (and word is he once drank 119 beers in a single sitting), but I'm not so sure. Is there any evidence to suggest his hands were really this big? The full article text for To The Giant Among Us is available on sports illustrated's vault. 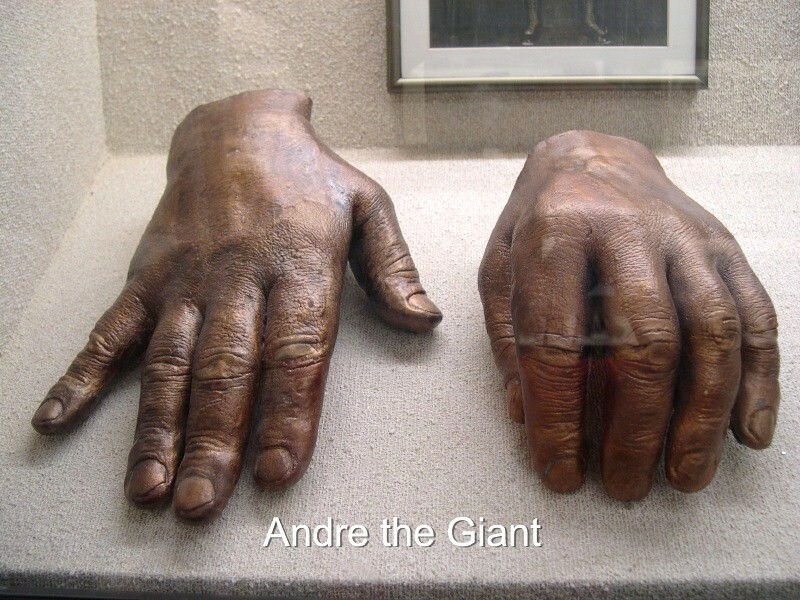 Bronze coated casts of Andre's hands are on display in the Adrian E. Flatt, M.D., Hand Collection at Baylor University Medical Center at Dallas in the George W. Truett Memorial Hospital lobby. 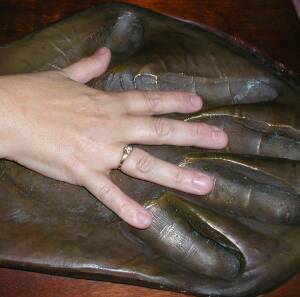 Yes, his hands were that big. 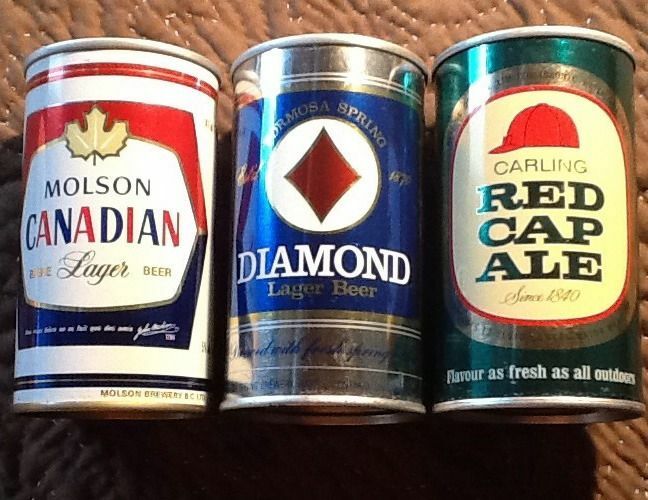 Ebay ad that says: "12oz Molson Canadian lager beer by Molson, Vancouver. 12oz Diamond lager beer by Formosa Springs, Barrie, Ontario. 12oz Red Cap Ale by Carling, Toronto & Waterloo"
Not the answer you're looking for? Browse other questions tagged physiology beer celebrities . Do full-time working women earn 77 cents for every dollar a man earns? Oils from your face will make the foam from beer subside faster? Does beer kill brain cells? Is a “beer belly” caused by drinking beer? Was beer the most popular drink for breakfast before coffee became popular? Does canned beer taste better than bottled beer? Does drinking beer help to cure a hangover? Can drinking beer cause hairloss or more shedding? Does the hops in beer cause sleepiness? Do transparent beer bottles allow UV rays oxidise the beer faster?